My youngest daughter’s bedroom looks like a war zone. She’s presently in her final exam week in high school and so her floor is covered in papers, clothes, dishes, and detritus—hopefully inorganic—that I can’t identify. Comparatively, my eldest daughter’s bedroom is spotless. She finished classes more than a month ago and is now travelling in Europe. Prior to leaving, she did a massive clean up. Not only can you eat off her floor, you could likely perform surgery in that room without risk of infection. Last night, I discovered my youngest daughter studying for an exam in her sister’s immaculate bedroom. The order and cleanliness made it a better environment to learn and work. “Fewer distractions,” she said. The point is that we all know deep down that our environment has a huge impact on our work and mood. Distractions can impede our ability to focus and learn. Beautiful environments make us feel good. Our own work environment just got better. 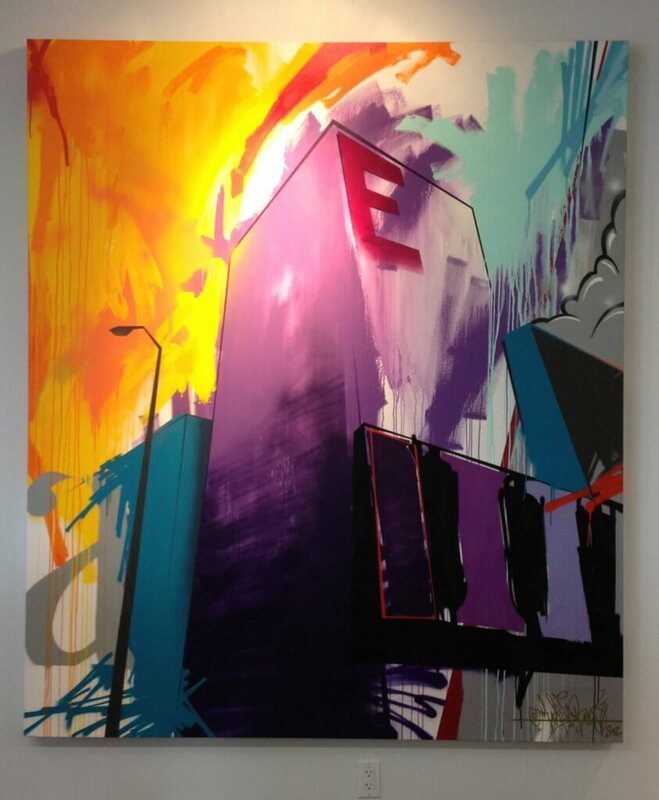 The walls of Blatant Media’s new office in the Atlantic Avenue Art Block in the trendy Inglewood area of Calgary are now adorned with two new paintings by David Brunning, TheKidBelo, one of Western Canada’s premier visual artists.